With the iconic Road Atlas leading the way, our products have helped travelers make the most of their road trips for more than 100 years. 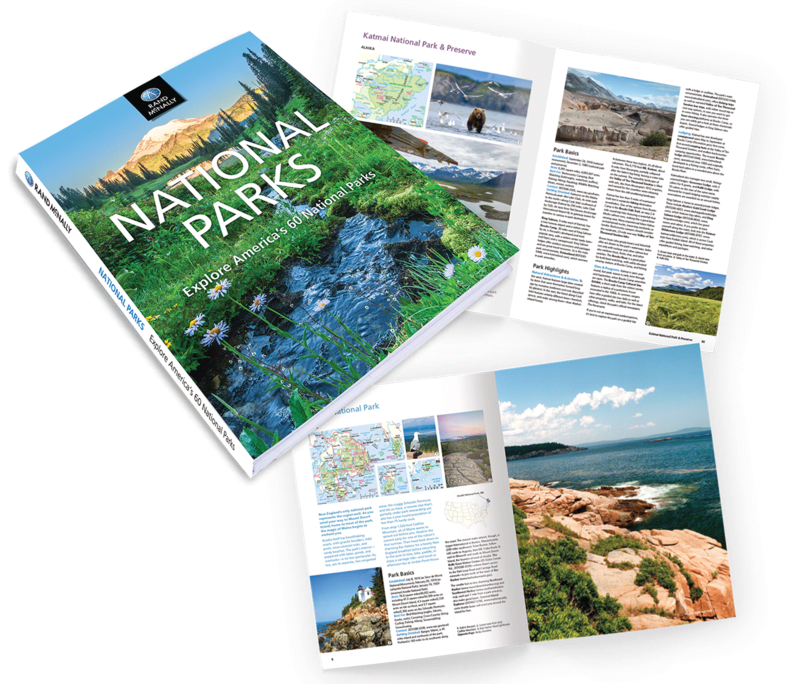 Our line of atlases, maps, activity books, and other fine publications are developed to inspire an interest in the world and enrich life’s journey. 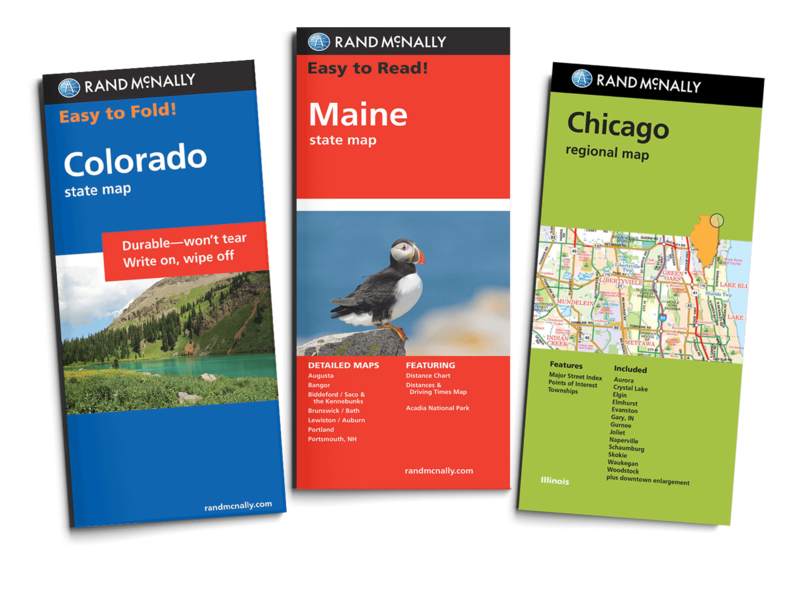 For generations, Rand McNally has been compiling accurate, detailed maps and travel information into the ultimate road trip accessory. The Road Atlas is useful, easy to use, current, beautiful, and compact. The 2020 edition features fully updated maps, mileage charts, road construction and tourism information, city detail maps, and more. It's no wonder savvy travelers take the wheel with our Road Atlas by their side. 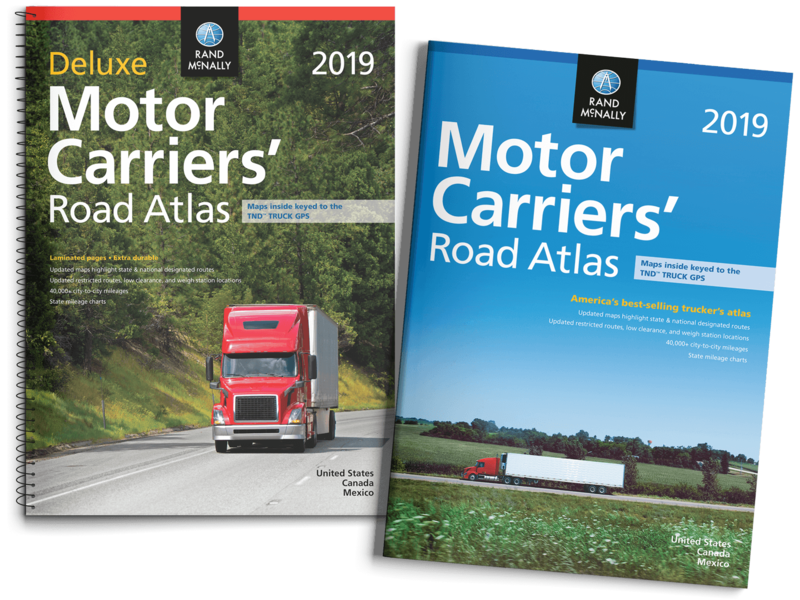 Every mile, in every cab, American truckers rely on Rand McNally's Motor Carriers' Road Atlas for the most comprehensive highway and trucking information on the market. America's #1-selling trucking atlas is designed to meet the unique needs of professional drivers, helping you save time, save money, and stay compliant. Relax and de-stress while our activity books take you on a journey around the globe. Spark your inner creativity with coloring books that feature beautiful, intricate illustrations of cities, festivals, and animals. 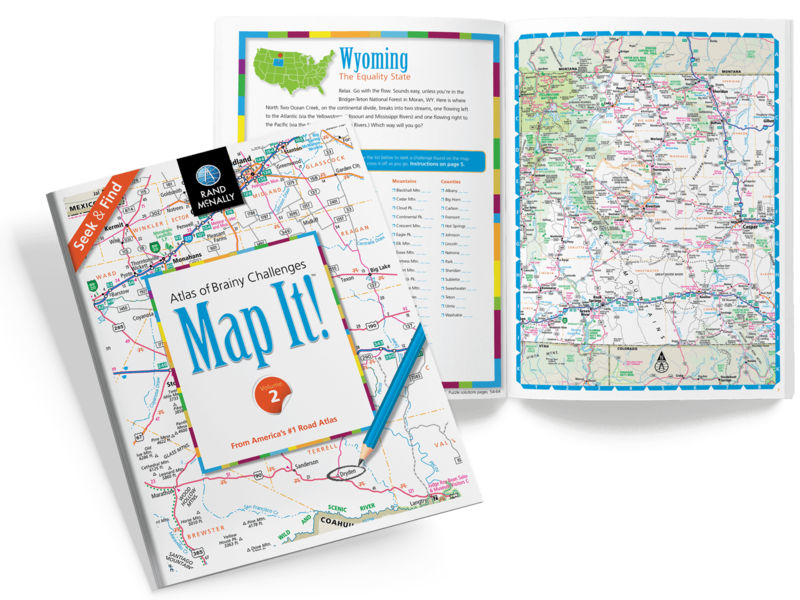 Or challenge your map-reading skills as you journey from state to state with our new Map It!™ Seek & Find books . Rediscover places you've been and open your eyes to places you never knew existed while finding and seeking your next adventure. Our kids' books and activity books are packed with fun travel games, puzzles, and insight that will keep children entertained for hours. In the new Map It! Jr. series, parents and toddlers will enjoy the delightful narratives that encourage discovery and guide each journey. 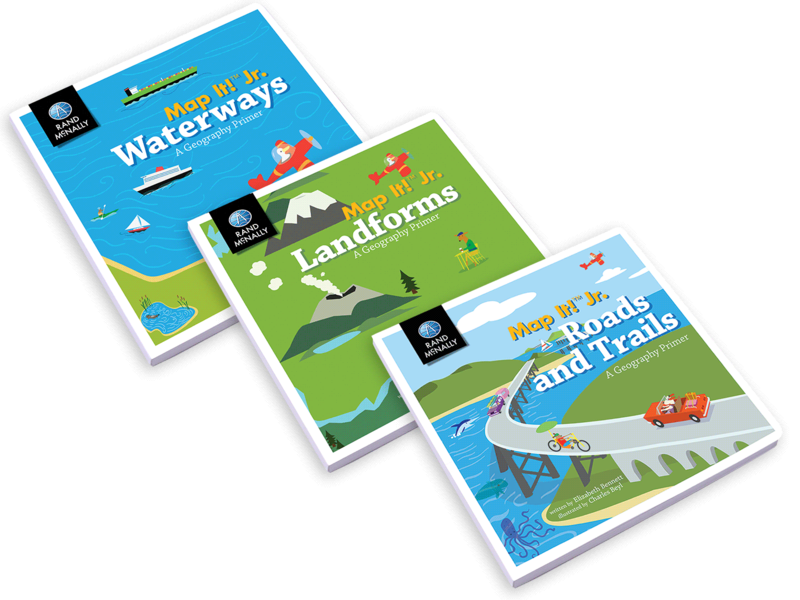 Beginning with a simple map, each page follows a gentle progression of discovery through colorful illustrations and playful text featuring the coastlines, mighty rivers, great and salty lakes, small ponds, and wetlands. 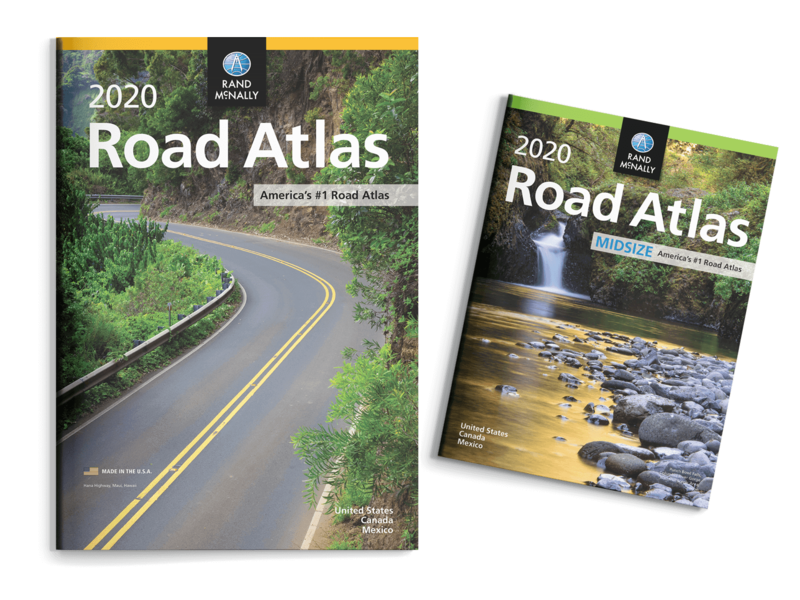 Offering unbeatable accuracy and reliability, Rand McNally folded maps have been the trusted standard for years. 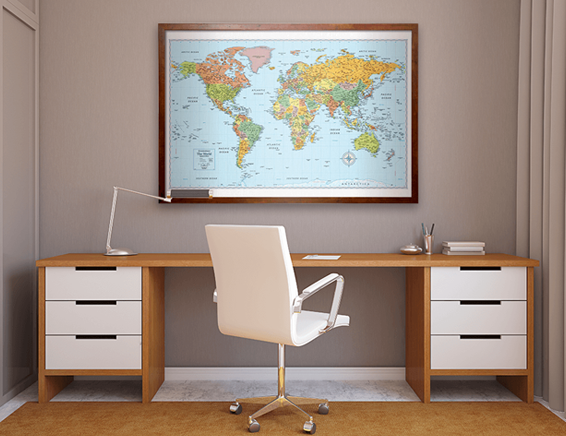 The easy-to-use legend and detailed index make for quick and easy location of destinations. Our maps are beautiful, colorful, and legible. Features include shading to highlight urban areas and national parks and forests, and shields to indicate trip-of-a-lifetime roads, like Historic Route 66. Our interstate exit numbers pop out in green, our points-of-interest labels pack a punch in red and our bingo keys are large and easy to spot in gray and white. Each state/provincial map has handy insets of metropolitan areas; regional mileage charts; and local demographics, tourism contacts, and road condition hotlines. Elsewhere, country overview maps, town indexes, and mileage and driving-times maps and charts give you the big picture at a glance. Featuring captivating photos of destinations across the globe, our travel & pictorial books will inspire you to explore the world. The rich colors of beautiful vignettes spread across every page will leave you mesmerized. You'll also learn unique travel experiences and must-sees at each location. Use them as coffee table books or for travel inspiration.